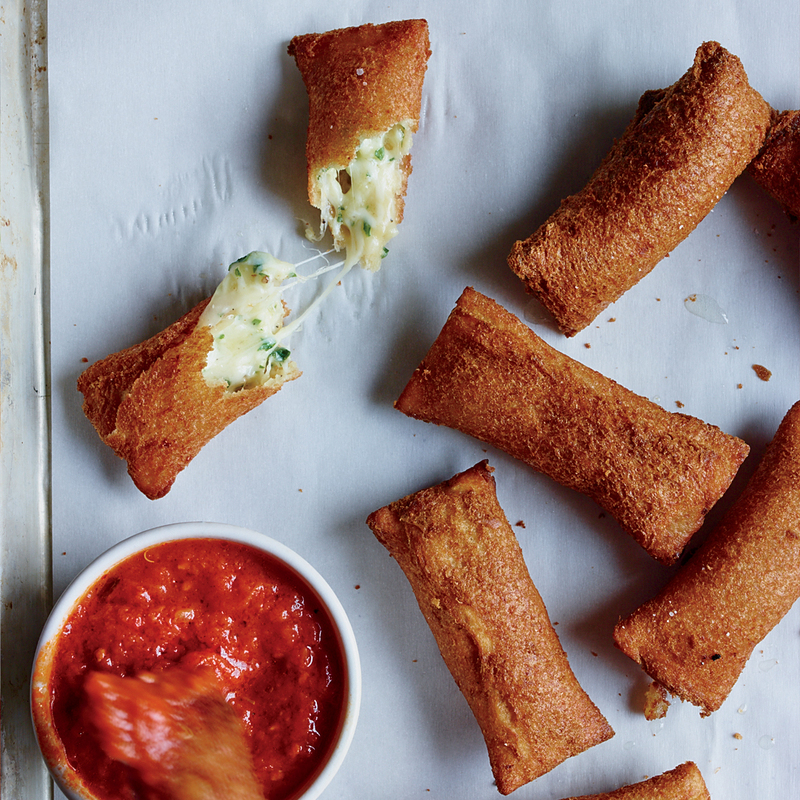 Kick off summer with cheesy party snacks. 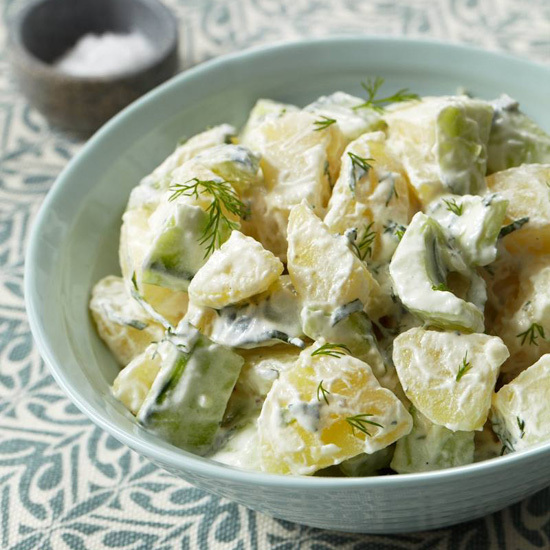 Cheeseburgers aren't the only great way to use cheese for a Memorial Day party. Here, seven deliciously cheesy snacks to make for a cookout. 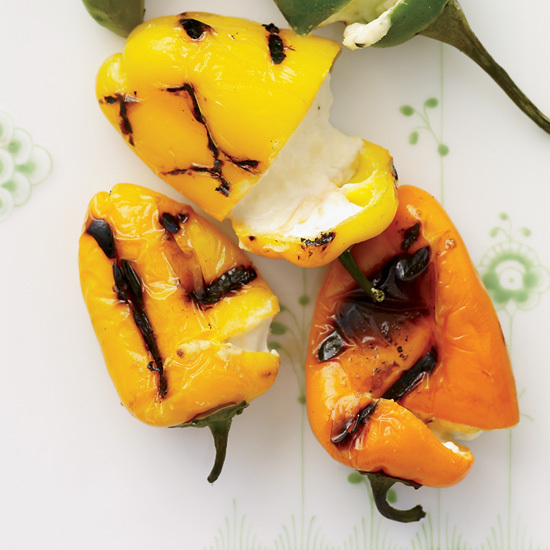 All types of medium-sized peppers are great for this backyard barbecue snack. 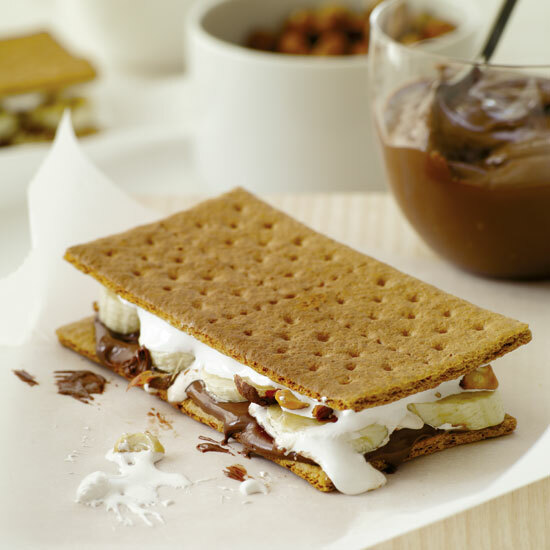 There are so many reasons you should celebrate the Fourth of July with crowd-pleasing finger foods. 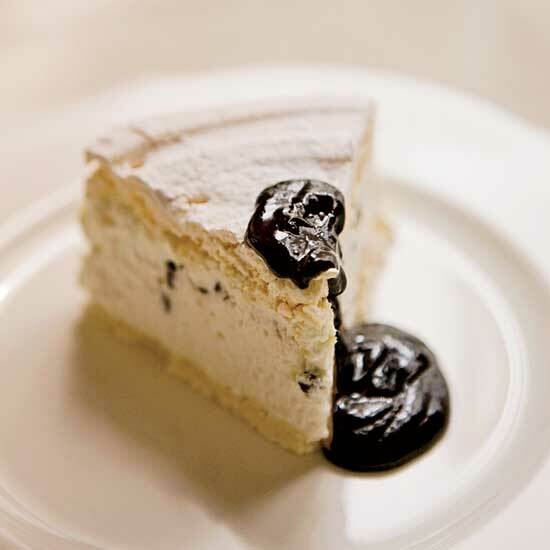 They're easy to serve, they're super festive and eating with your hands is always more fun. From hogs in a blanket to lobster sliders to Greek salad skewers with anchovy aioli, you're going to have a tough time choosing. 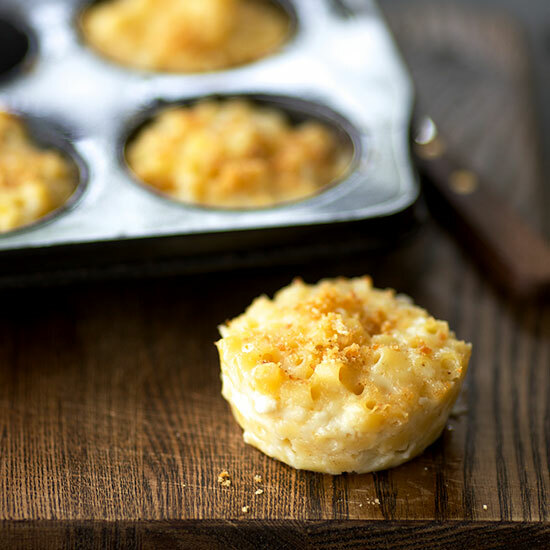 Memorial Day party guests will love these mini mac-and-cheese bites. 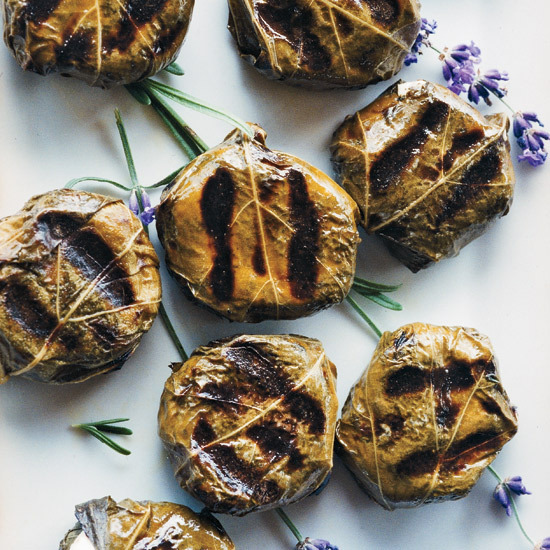 Inspired by Turkey's stuffed grape leaves, chef Mehmet Gurs ingeniously wraps goat cheese in the briny leaves then quickly grills the little packages so the cheese melts. F&W's Justin Chapple uses white bread as the wrapper for his quick and simple cheesy sticks. 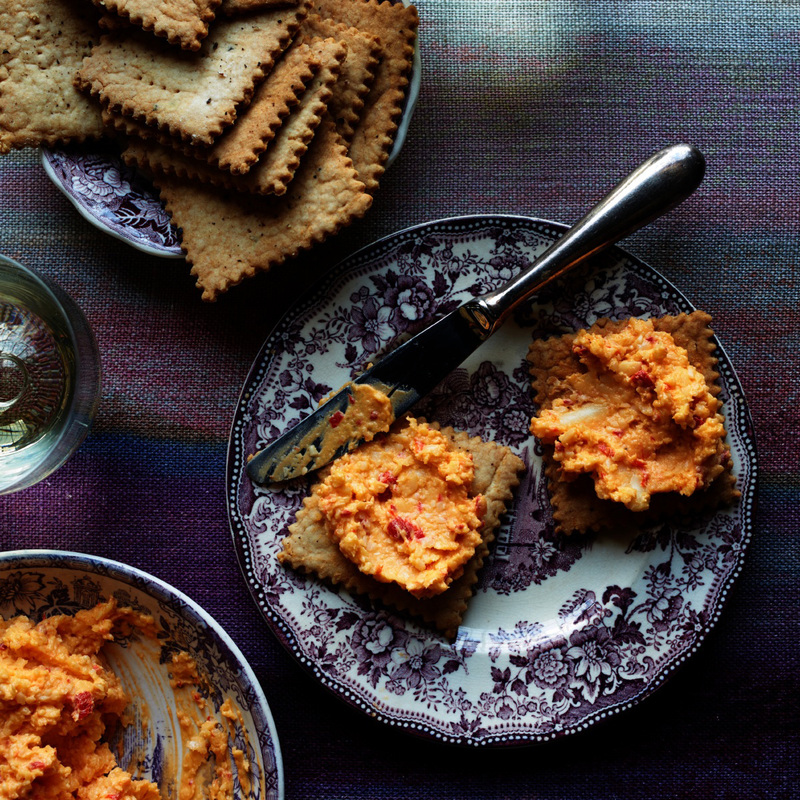 Top Chef alum Carla Hall makes her own crunchy crackers to serve with her cheese spread, a riff on a Southern classic. 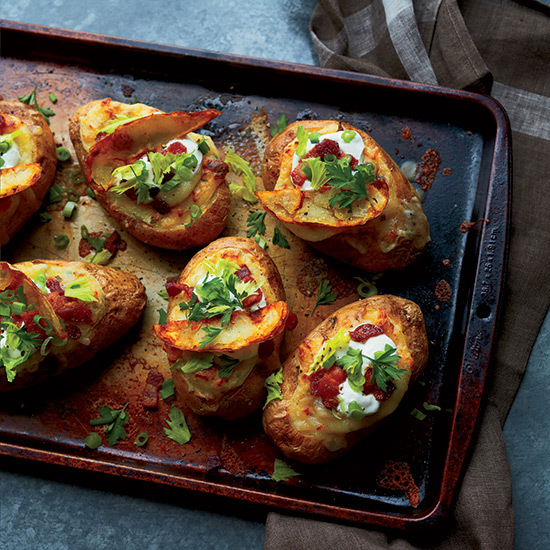 These indulgent baked potatoes are stuffed with sour cream and Parmigiano-Reggiano, then topped with tangy gravy, melted mozzarella, bits of crisp bacon and, finally, fried potato skins. 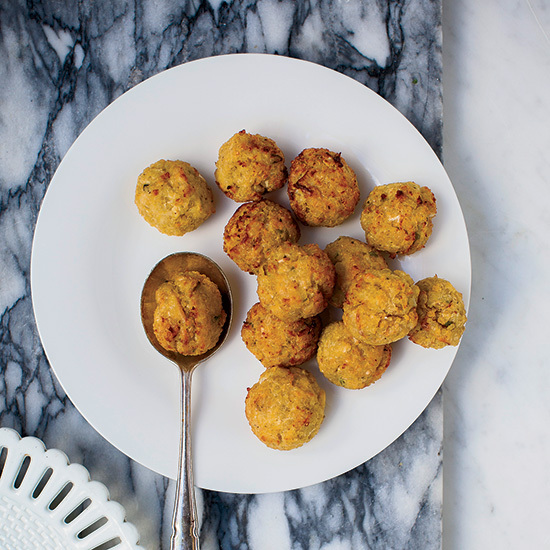 Bloggers Jasmine and Melissa Hemsley mix quinoa with grated cauliflower, salty halloumi cheese and chickpea flour to make crisp, fluffy little balls.